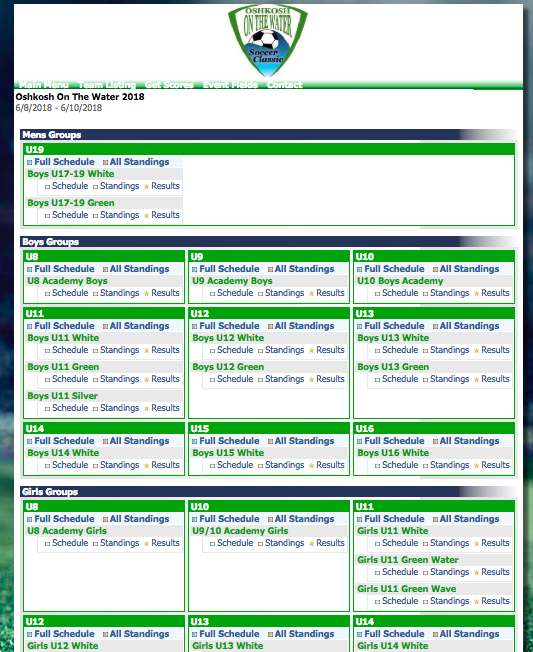 Thanks for visiting our tournament page! The 35th Oshkosh on the Water soccer tournament will kick-off on June 7-9, 2019 at Winnebago County Park in Oshkosh, WI. 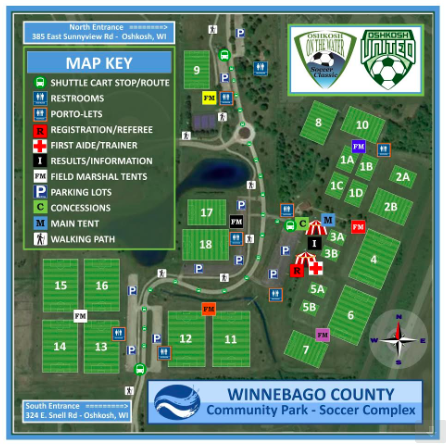 All tournament games take place at Winnebago County Park which has 18 soccer fields. With over 175 teams many age groups will have multiple brackets so teams attending can face appropriate competition. In addition to a weekend of great soccer, teams can also enjoy a variety of great food from our on-site food vendors as well as other special activities (bubble soccer, etc.) that take place on tournament grounds. 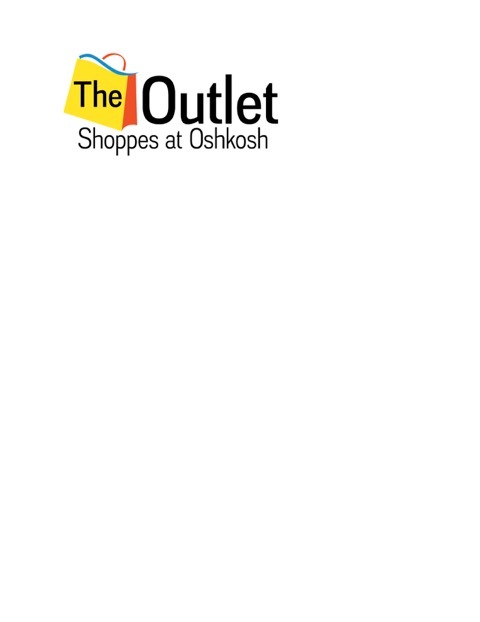 Check out the information below and if you have any questions do not hesitate to contact our Tournament Director, Chris Guido at ootwtournament@oshkoshunited.com. If you have any questions please do not hesitate to contact our tournament director, Chris Guido.